Chesnet Remote will install a Help Probe on your computer that will collect all the details to allow monitoring and management of your computer. This same probe will allow easy access to Chesnet Remote Control and allow our staff to make sure Windows patches are current. This probe will not send Chesnet Remote any personal data or user activity. Chesnet Remote Help Desk is available to help with any questions related to your computer support and new computers and devices. Chesnet Remote is not a “Consumer Reports”, but is able to help explain technical specifications and provide suggestions. Chesnet Remote Help Desk can also help in the purchase or download of applications. Make sure you are getting a genuine copy and are protected against licensing fraud. Chesnet Remote is available to help remove the questions related to Internet Service and setup. Contact the Help Desk with questions related to picking an Internet Service Provider, choosing the right plan for your home, the differences between the plans and what features matter to you. Chesnet Remote does not represent any specific Internet Service Providers so, rest assured, our Help Desk is only interested in you having the provider that best meets your needs. Chesnet Remote Help Desk is available to make sure your data is backed up to your requirements. In the event you need to recover a file, contact the Chesnet Remote Help Desk or access the Backup Admin Console directly. Off-Site Cloud using a 3rd party service. This solution offers a monthly fee for unlimited backup. Chesnet Remote will setup your backup, but you are responsible to make sure it’s running and working correctly. Chesnet Remote Help Desk is available if you have any questions or problems. Off-Site Cloud using Chesnet Remote service. Backups are stored at Chesnet Remote using the same level of encryption and security protocols used on our commercial accounts. This solution offers a monthly fee per gigabyte and is recommended for only critical files. Chesnet Remote technicians monitor and make sure backups are running as required. At Home backups using external hard drives. 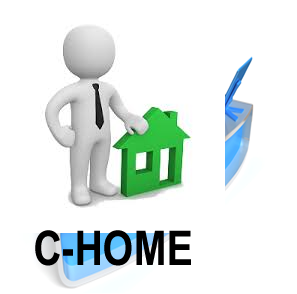 Chesnet Remote will setup your backup, but you are responsible to make sure it’s running and hard drives are rotated. Chesnet Remote Help Desk is available if you have any questions or problems. When computers are running slowly, Chesnet Remote Help Desk will run several tools to clean up the performance of your computer weekly. Contact FARCR Help Desk to schedule other services as you wish. Chesnet Remote Membership keeps your devices connected & working to standard. Chesnet Remote will install a Help Desk app on your computer that will collect all the details to allow monitoring and management of your computer. This same app will allow easy access to Chesnet Remote Help Desk, unlimited Remote Control and allow our staff to make sure Windows patches are current. This app will not send Chesnet Remote any personal data or user activity. 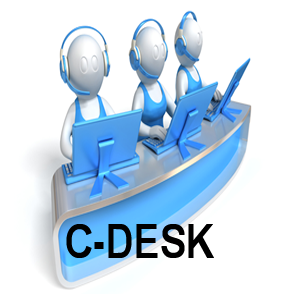 Chesnet Remote Help Desk is able to correct most operating system errors using a remote connection and running several software tools. In the event the issue can not be resolved remotely, we will pickup the device fix at our office and return with issue resolved and setup on-site . *additional fee applies. Chesnet Remote will help support any related network devices that are required by the covered computer to access the Internet or devices. This includes printers, firewalls, modems, switches and wireless access points. Chesnet Remote Help Desk will require these devices to be registered with Chesnet Remote including model numbers, serial numbers and passwords. Chesnet Remote is available to visit your home to handle any device requirement. SCHEDULE an Onsite Support visit in real time. Chesnet Remote is available to assist with any email questions related to the covered computer. This includes accessing your Internet Provider email systems, setting up Google mail or accessing other 3rd party systems. Chesnet Remote will work with you to answer the technical question and complete the steps necessary to setup email. Chesnet Remote is also available in the event you receive a strange email. Before you open or click on any email contact us. Chesnet Remote recommends using Google Mail because of the simple to use web interface and their advanced spam/virus filtering systems. Chesnet Remote will help support any related network devices that are required by the covered computer to access the Internet or devices. This includes printers, firewalls, modems, switches and wireless access points. Chesnet Remote will require these devices to be registered with Chesnet Remote including model numbers, serial numbers and passwords. Chesnet Remote Help Desk will assist in printer setup, configuration and supplies. Our Security for Windows Devices includes the award winning Sophos Security platform is included that operates with a low impact on performance. This provides great protection with minimal impact on your user experience. Chesnet PC will install a Help Desk Probe on your computer that will collect all the details to allow monitoring and management of your computer. This same probe will allow easy access to Chesnet PC Help Desk, Remote Control and allow our staff to make sure Windows patches are current. This probe will not send Chesnet PC any personal data or user activity. Chesnet PC Help Desk is available to help with any questions related to your computer support and new computers and devices. Chesnet PC is not a “Consumer Reports”, but is able to help explain technical specifications and provide suggestions. Chesnet PC Help Desk can also help in the purchase or download of applications. Make sure you are getting a genuine copy and are protected against licensing fraud. Chesnet PC is available to help remove the questions related to Internet Service and setup. Contact the Help Desk with questions related to picking an Internet Service Provider, choosing the right plan for your home, the differences between the plans and what features matter to you. Chesnet PC does not represent any specific Internet Service Providers so, rest assured, our Help Desk is only interested in you having the provider that best meets your needs. Chesnet PC Help Desk is available to make sure your data is backed up to your requirements. In the event you need to recover a file, contact the Chesnet PC Help Desk or access the Backup Admin Console directly. Off-Site Cloud using a 3rd party service. This solution offers a monthly fee for unlimited backup. Chesnet PC will setup your backup, but you are responsible to make sure it’s running and working correctly. Chesnet PC Help Desk is available if you have any questions or problems. Off-Site Cloud using Chesnet PC service. Backups are stored at Chesnet PC using the same level of encryption and security protocols used on our commercial accounts. This solution offers a monthly fee per gigabyte and is recommended for only critical files. Chesnet PC technicians monitor and make sure backups are running as required. At Site backups using external hard drives. Chesnet PC will setup your backup, but you are responsible to make sure it’s running and hard drives are rotated. Chesnet PC Help Desk is available if you have any questions or problems. Chesnet PC Help Desk is available to assist with any email questions related to the covered computer. This includes accessing your Internet Provider email systems, setting up Google mail or accessing other 3rd party systems. Chesnet PC will work with you to answer the technical question and complete the steps necessary to setup email. Chesnet PC Help Desk is also available in the event you receive a strange email. Before you open or click on any email contact us. Chesnet PC Help Desk recommends using Google Mail because of the simple to use web interface and their advanced spam/virus filtering systems. Chesnet PC Help Desk is able to correct most operating system errors using a remote connection and running several software tools. In the event the issue can not be resolved remotely, we will pickup the device fix at our office and return with issue resolved and setup on-site . *additional fee applies. Chesnet Managed will help support any related network devices that are required by the covered computer to access the Internet or devices. This includes printers, firewalls, modems, switches and wireless access points. Chesnet PC Help Desk will require these devices to be registered with Chesnet PC C-Managed including model numbers, serial numbers and passwords. Chesnet PC Help Desk Techs are available to visit your home to handle any computer requirement. 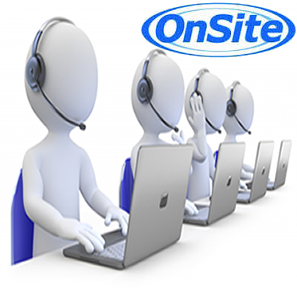 Contact the Help Desk to get an Onsite Support schedule the visit. When computers are running slowly, Chesnet PC Help Desk will run several tools to clean up the performance of your computer weekly. Contact the CA Help Desk to schedule other services as you wish. 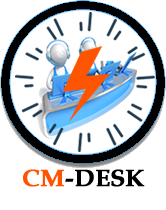 C-managed keeps your devices up working to standard. Chesnet PC Help Desk will assist in printer setup, configuration and supplies. Our Security for Windows Devices includes the award winning Bitdefender® Security platform is included with 5 other engines that operates with a low impact on performance. This provides great protection with minimal impact on your user experience. Chesnet PC will install a Help Desk app on your computer that will collect all the details to allow monitoring and management of your computer. This same app will allow easy access to Chesnet PC Help Desk, unlimited Remote Control and allow our staff to make sure Windows patches are current. This app will not send Chesnet PC any personal data or user activity. Chesnet Managed Help Desk will help support any related network devices that are required by the covered computer to access the Internet or devices. This includes printers, firewalls, modems, switches and wireless access points. CM Help Desk will require these devices to be registered with Chesnet PC including model numbers, serial numbers and passwords. CHESNET Managed C-Desk plans are available starting at $15.99 a month per desktop, laptop, phones or tablets $8.99 a month with NO! contract. ​Anti-Virus and Internet Security Solutions As computers and computer software have become more sophisticated, so too have computer viruses, worms and spyware. Despite improvements in anti-virus and anti-malware software, identity theft and hackers pose a greater threat than ever. A security lapse, even for a few days or even a few hours, is more than enough to compromise your computer’s defenses. A security lapse may potentially affect the entire network. If you suspect your computer has a problem or even a threat resulting from a security breach, it is important to contact Geeks On Call as soon as possible. Our experts have the most up-to-date; most sophisticated anti-virus software along with affordable Security Solutions to make sure you will not have problems in the future. Take advantage of onsite service and get Fast, Affordable, Reliable computer repair. For $89.99 hr and then billed in 15 minute increments at $22.50 per needed time. We come to you so you do not have to unhook and load anything we do it all for you at your office or home. Time is hard to estimate but no worries Chesnet will get you back on line fast as possible. Get instant on-screen alerts on endpoint problems with our app. No contracts. No install fees. No hidden fees. 20% off all annual subscriptions. We'll fix it or you do not pay! A competitive and complete cloud tech support service. ﻿We don't just provide cloud tech support, we're a Lancaster Ephrata Pennsylvania based Managed Service Office. ​We'll fix things that may be causing your computer to run slowly such as malware, viruses, files and bad registry entries. Did we finish a job for you pay with a credit card, debit card. Make safe, fast, free payments. Keep your payment info Confidential. "The Convenience You Need, The Service You Deserve! Help Always!" Brief Description of problem or service requested click request button and A Representative will contact you.